Also added, were the Yahrzeit dates, both secular dates of death and Hebrew dates. Those can be found on the Yahrzeits page. Last, please visit the newly created United States Service Wall of Honor page. This page is new and much needs to be added. If you have any photos or information about family members who have served our country, please forward them to me. jshoer [at] reconnectingrelatives [dot] com. Be sure to remove the square brackets and add @ and . instead. This keeps creepy spy robots from spamming my email address. As always, if you find this interesting or have anything to add, please let me know. Cousin Jeffrey sent me several items from his extended traveling in Michigan. 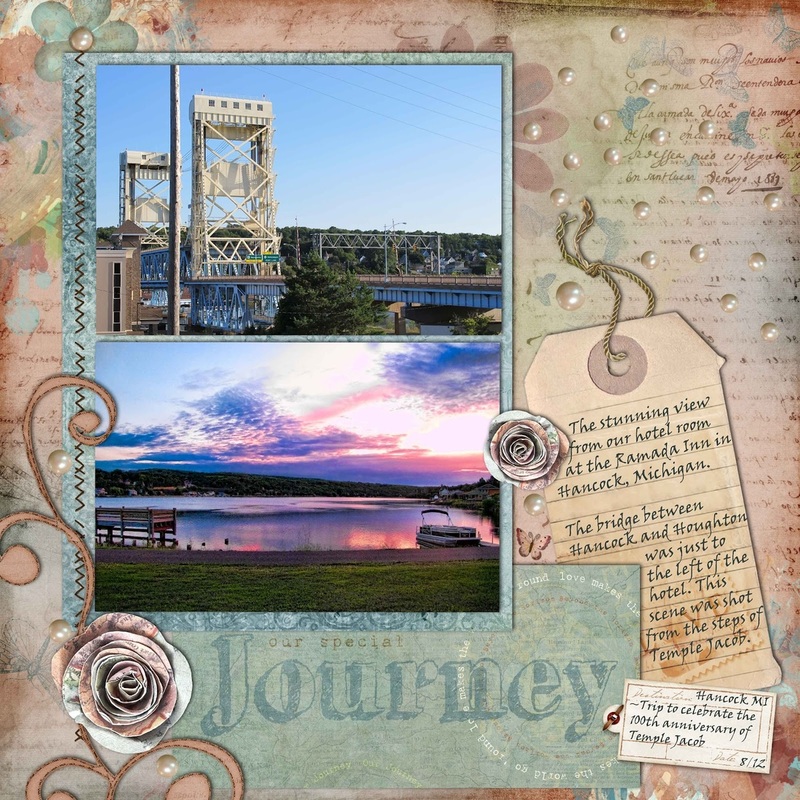 After the celebration at Temple Jacob, he traveled south to Marquette, Michigan where Bubbie and Zadie originally settled. Sarah Brisk Shoer took advantage of her new legal right to vote as soon as it was available. In 1919, she lived in Michigan, which on June 10, 1919 was the second state to ratify the 19th ammendment to the United States Constitution. The 19th Amendment was the National Suffrage Amendment, first introduced by Susan B. Anthony and Elizabeth Cady Stanton in 1878 and much later ratified on August 18, 1920 by the required number of states. On October 16, 1920 Sarah registered to vote in Hancock, Houghton, Michigan. More importantly she voted in the November 1920 presidential contest between Warren G. Harding and James M. Cox, just three months after the 19th Ammendment was made law. Houghton County, Michigan, Voting Rolls, Registration Record 2, Ward City of Hancock 82-114, V:24, Shoer, Mrs. Sarah, 16 October 1920; Michigan Tech State Archives, Houghton. : accessed 6 November 2012), 1919. This view is from the side of Temple Jacob looking out toward the bridge and the river. 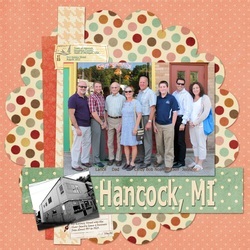 We journeyed to Hancock, Michigan with several family members including my Dad for the 100th Anniversary celebration of the establishment of Temple Jacob. Dad had been looking forward to this trip for nearly a year. 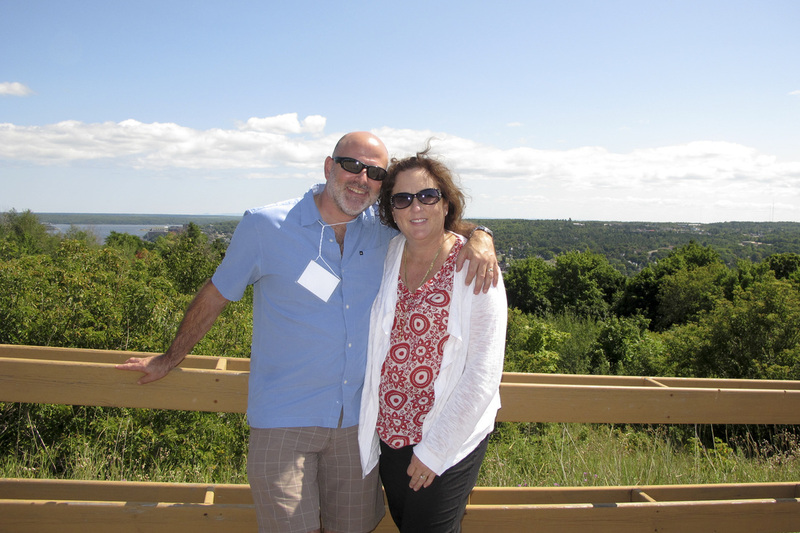 His parents and paternal grandparents immigrated from Russia in the early 1900s and settled in Michigan, first in Marquette and then in Hancock on the beautiful Upper Peninsula, Keweenaw. For those of you that may not know, Dad has been having some fairly significant memory issues since the first of the year, but while he had moments of confusion about what we were doing in Michigan, overall he remembered the purpose of our visit and his distant memories of Hancock were remarkably intact. He may not remember everything we did, but in the moment, he wore a broad smile and was genuinely happy to be there. On the day of our arrival in Hancock, we attended a welcome reception at the Carnegie Museum across the Portage Canal in Houghton. It is a beautiful exhibit and will be on display at the museum through the spring of 2013. There is a wonderful little placard with a present day picture of 512 Quincy Street where Bubbie and Zayde's butcher shop was located along with a description of the Shoer family history in Hancock. Also on display is a large collection of letters that Uncle Willie wrote to various Temple Jacob members over the decades, two letters written by Dad and a photo journal book that we created about our visit five years ago. Our first day culminated with a delicious dinner at Gemignani's Restaurant at 512 Quincy Street, the home of the Shoer family butcher shop and upstairs apartment where Aunts Ruthie, Libby, Betty and my Dad were born. It was pretty neat having dinner there one month to the day before Dad's 91st birthday.